Expecting or recently had a new baby? Our mum & baby groups are unique. With our professional guidance, we create strong networks of friendship, support and knowledge to empower you for your journey into motherhood. It's time to embrace motherhood with mums just like you! 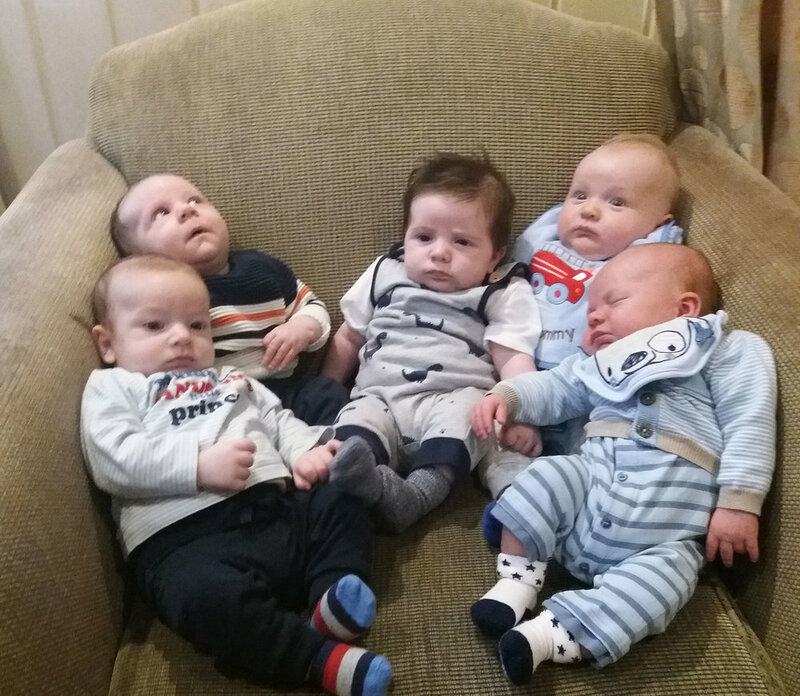 Whether it's your first baby or one of many, having a new baby can be challenging - our mum & baby groups create a relaxed social and professional environment in a convenient setting (usually a local hotel) to help you share, alleviate and cope with those challenges. The weekly meetings with Networking Mothers Ireland™, with between 5 to 10 mums & babies, provides a place to learn, socialise, connect and rejuvenate as you make the transition into motherhood. Being understood by other mums will enable you to be a happy mother, and this is the most important factor in the development of a happy baby. After you've submitted the form on our Join A Group registration page, we will choose the right group near you, matching with the age/birth month of your new baby or baby-to-be. In the first three meetings, you will receive professional support from a PHN/Midwife trained in the Network model. This faciliation lays the foundations for a long-term bond of support and friendship. Your network will meet every week for 2 hours, this will be your opportunity to sit back, have a cup of coffee, share your baby's milestones, while gaining confidence & understanding through discussion and interactive learning with other mothers and professional experts instead of staying at home and relying on Dr. Google! After a number of facilialiated meetings, based on our researched principles, the group will then be led and organised by the members themselves to support you through the rest of your maternity leave and beyond. The benefits are amazing - trusted friendly WhatsApp group chats, coffee meet ups, playdate activities, mum's night out, and so much more to share together and help you enjoy motherhood. The transition back to work or the dread of returning to work is made easier as your network group continues to meet and support you. We will also plan to facilitate access and engagement with a number of experts who can give your group input on various topics of your network's choice. Motherhood seems less overwhelming when you can share it with peers who understand what you're going through. The group is something for you and baby to look forward to, get out of the house and help avoid loneliness. Whatever your choice for feeding, we support you. If you're breastfeeding and need some help and guidance, we can provide that. Face various challenges, such as social and emotional health, colic and reflux, sleep issues, going back to work, etc with the support & feedback from your network. Address a variety of other developmental questions & concerns, and help put your mind at ease about what's "normal" development for your baby. What makes your baby unique? Which milestones will they reach together?